If you want a bit of adventure, and to actually experience South American culture and landscape rather than just pass through it, take the first turnoff and hit the countryside. The following routes are among some of the journeys you’ll want to put on your South American road trip bucket list. Much has been written about the Death Road, especially with regard to cycling it with a tour agency out of La Paz. Since Bolivia built a highway around it, the road is largely void of traffic and mostly used for tourism. 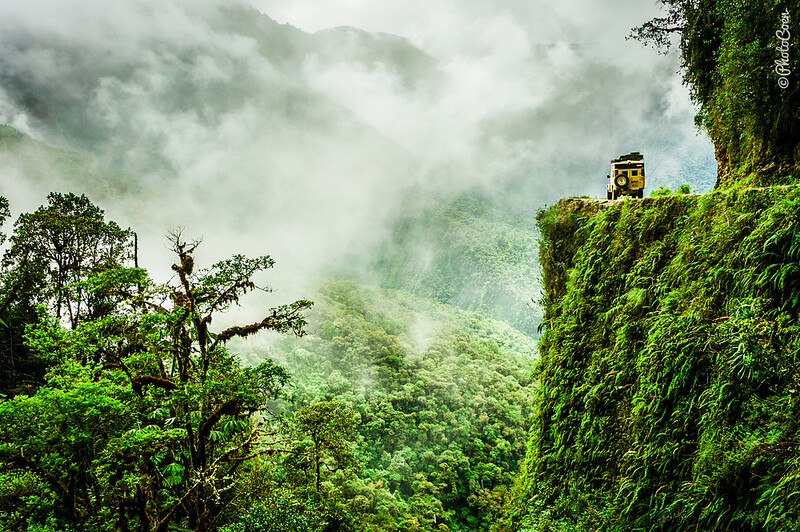 The Death Road starts at an altitude of 9,800 feet, winds down into the rainforest, and ends at the town of Coroico at 5,000 feet. If you’re going to drive it, leave after 11am, when the cyclists have finished. The Trans-Amazonian Highway was built in the 1970s to open up the Amazon to the rest of Brazil. The name is somewhat misleading, as part of this 4,000km route cuts through the dry interior of Northeast Brazil (the easternmost city is João Pessoa), which is uninspiring to drive. The interesting part is the stretch through the Amazon: roughly speaking, from the infamous Belo Monte Dam project westbound to a village called Lábrea. 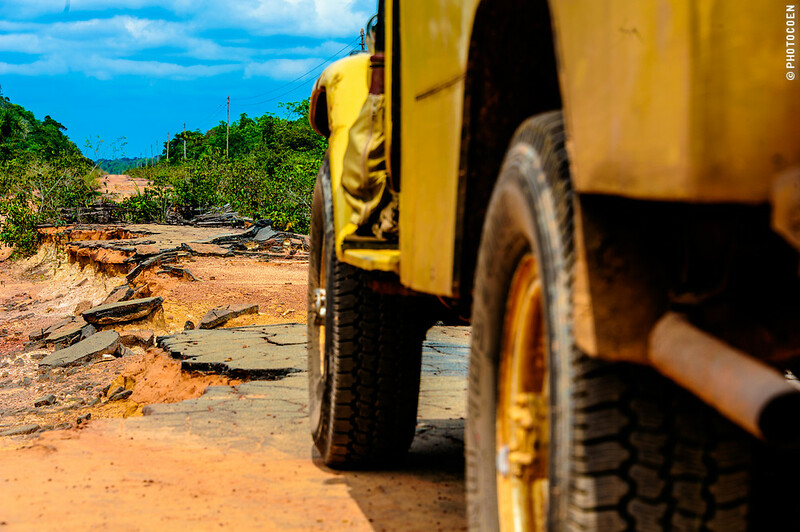 Parts of this unpaved road may become impassable during the rainy season, when dust turns into slick red mud and bridges collapse. The best time of the year to drive it is July–Oct. Los flamencos National ReserveSan Pedro de Atacama, ChileYeah, there’s thousands of flamingos here. They are cool. Check them out, take some photos, but then meander down the paths away from the tourists and feel wonderfully in the middle of nowhere, bathing in really pretty light and tranquility. More than 600 miles of gravel road wind through scenery of rainforests, glaciers, volcanoes, fjords, and rivers. This is the only road connecting northern and southern Chile. It was largely constructed under Pinochet’s regime in the 1980s—initially it bore the name of Carretera General Augusto Pinochet. For decades, roughly before 2009, this was known as South America’s worst road. Cars and buses could get stuck for days on end, especially in the mud during the rainy season. On this route, you can visit the Mennonite communities who arrived in the early 20th century and within two or three generations built affluent farming communities in the Chaco wilderness. Note that not all communities are keen on receiving visitors, so ask for permission before wandering about. Some 3,000 miles separate La Quiaca in the north and Rio Gallegos in the south. You’ll see llamas and vicuñas on the altiplano and can stop for wine tours in Cafayate and Mendoza. Go now, as Argentina is paving Ruta 40 as I’m writing, which will facilitate driving but take away the sense of adventure and magic that Ruta 40 is so famous for. This 800km road runs from Porto Velho to Manaus. Like the Transamazônica, the BR-319 was built by Brazil’s military regime in the 1970s with the intent to open up the Amazon rainforest for economic purposes. However, as it was one of the first roads through the Amazon, know-how was minimal, and the road was built on swampland. This, together with annual floods that washed away dozens of bridges, contributed to the road falling into disuse. Nowadays, all trucks go by boat, and only the adventurous attempt it, camping rough along the way. Amazon Eco AdventuresManaus, BrazilMy first view of the mighty Amazon River as I fly into Manaus, Brazil. It was a very surreal feeling to say the least. The world’s largest salt flat is technically not a road, but driving here is absolutely mind-blowing. The white ocean of salt is hemmed in by the Andes Mountains and looks like fresh snow that’s not yet been disturbed by footsteps. Most travelers visit the salt flat with an organized tour from Uyuni, but you can also rent a car and go on your own. The advantage is the opportunity you have to rough camp, which was one of our most overpowering experiences in South America. Note that Salar de Uyuni lies at 12,500 feet, so take measures to prevent altitude sickness. The Pantanal, the largest inland wetland in the world, is one of the most pristine and biologically rich environments on the planet. With more than 200 species of fish, 120 species of mammals, almost 100 different reptiles, and at least 600 types of birds, it’s a favorite among birdwatchers, wildlife spotters, and lovers of fishing. 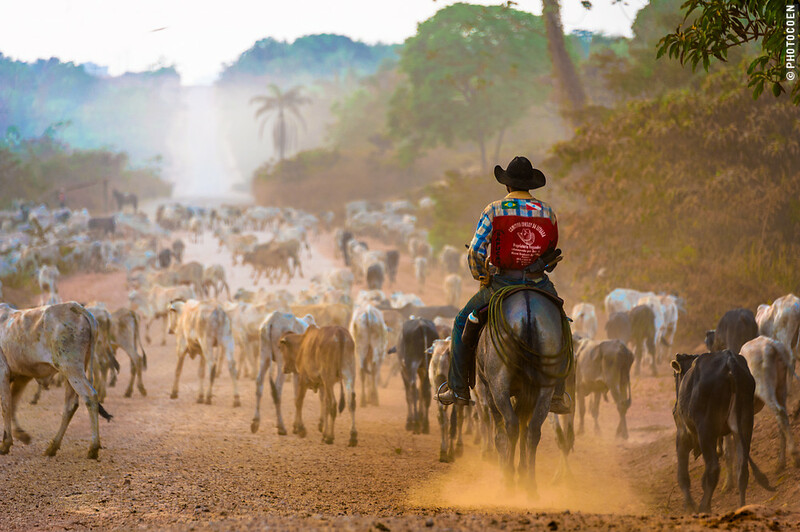 Make sure you have permission from the fazendas (ranches) you’re bound tp cross the pantanal. A sturdy 4WD is a must.